As discussed in the last blog, we are about to introduce a new range of qiviut accessories designed to compliment The Qiviut Jacket and/or work as stand alone items. On the face of it, that exercise would seem to be primarily about design and manufacture and, of course, those two functions are a big part of bringing new items to market. But they are really not the most important. What is most important begins long before deciding on a particular head warmer or neck warmer or even whether or not to do those categories of clothing at all. What is most important is the brand. As any marketer worth his or her salt will tell you, no business has much of a chance to be successful without first having a very clear picture of what the brand is all about. And I don’t just mean the name or logo. I mean the core values of what the business stands for; who its customers are; what tone of voice it takes in marketing itself; why the business deserves to succeed. In some cases, the start-up product is so revolutionary that the click in the consumer’s mind is immediate and the name is almost secondary. Think Ford and automobiles or Apple and computers. But even then, critical branding decisions were made at the outset. It wasn’t “Henry Ford Motor Car Company” that went on each Model T, it was just “Ford”. And the brand stands for something more than just the products it represents. In Ford’s case it was imbued with the personality of the owner, the mindset of innovation to bring mechanised transportation to the masses, pioneering the production line and vertically integrated manufacturing. All of those branding qualities were reflected in the products Ford made and how they were marketed to the world. In many respects, Apple was the late 20th century successor to Ford’s legacy. Steve Jobs did not put his name on the company’s products but he certainly defined the Apple name by linking all of the company’s qualities – innovation, consumer focus, slavish attention to detail, emphasis on design and, not least, his own persona – to it. Unlike at Ford, his aura infuses the Apple brand to this day. In a more trivial seeming way Henry Ford handed out dimes to poor children. Steve Jobs quintupled the sales of black turtle necks and blue jeans. In both cases, it’s all part of the branding. In other cases, the name is chosen to intentionally define and describe the brand. “Dollar Shave Club” in the US and “Pound Saver” stores here in the UK tell you all you need to know about those companies. While such names certainly define the brand well at the outset, it can make growing a brand beyond the initial core concept very difficult without re-branding. That is why the Computer-Tabulating-Recording Company of the early 20th century went on to become International Business Machines and is today known just as IBM. In still other cases, the logo has come to define the brand as companies grow and evolve. For the most part, Nike no longer uses the name on its products, just the swoosh. And who can see that without still thinking of “Just Do It”, a marketing campaign theme from two decades ago? With a half-century of brand development push behind it, the swoosh tells you everything about the Nike brand today in a way that the triple stripes of Adidas do not. But however the brand name, logo and image are arrived at in the beginning or as they change, the qualities that define them must be well understood, consistently applied and jealously guarded. While not for a second comparing myself to Henry Ford or Steve Jobs (well, maybe a little in an aspirational sense) for better or worse here is the thinking that went into the QIVIUT & CO brand. First of all, unlike almost all other fashion start-ups, there was no designer involved in this one. In fact, there was no one with any real fashion experience at the outset. What there was, was a very unique and amazing uncommericalised performance fibre from an incredible animal no one had ever heard of. In short, a great story needing to be told to create brand awareness. However, we realised early on that that story would not be so much about creating just a new luxury clothing line as it would be about creating an entirely new luxury clothing category. New natural clothing fibres don’t come along very often and when they do they have historically taken a long time to find broad market acceptance. The first use of cashmere can be traced back to the 14th century but it did not find wide consumer acceptance until the latter part of the 20th century and has become truly mass market just in the last decade or so. Fortunately for us, however, the internet has accelerated the market acceptance process dramatically. The true mark of our success will be when consumers regularly walk into shops or search online to seek not necessarily our brand but just qiviut jackets, hats or scarves. To paraphrase the now famous George Costanza line in “Seinfeld”, that’s a luxury clothing category. With this new category creation concept firmly in mind, it just made sense on multiple levels to make the name of the fibre the name of the brand. For one thing, because of its arctic native dialect origin “qiviut” has a unique rule violating spelling. For another, the pronunciation is not easily deciphered. Now normally, both of these attributes would violate the cardinal tenets of brand naming but in our case they are assets. A big part of our brand definition is the uniqueness of an exotic fibre. The spelling and pronunciation both play into that. And the repetition of the fibre name every time the brand name appears enhances awareness. At the same time, we need to be mindful of the rules we are breaking. So, for example, we acquired the additional URL with the “…qu…” spelling of the brand name to compensate for the natural keystroking tendency of those people who paid attention in grammar class. 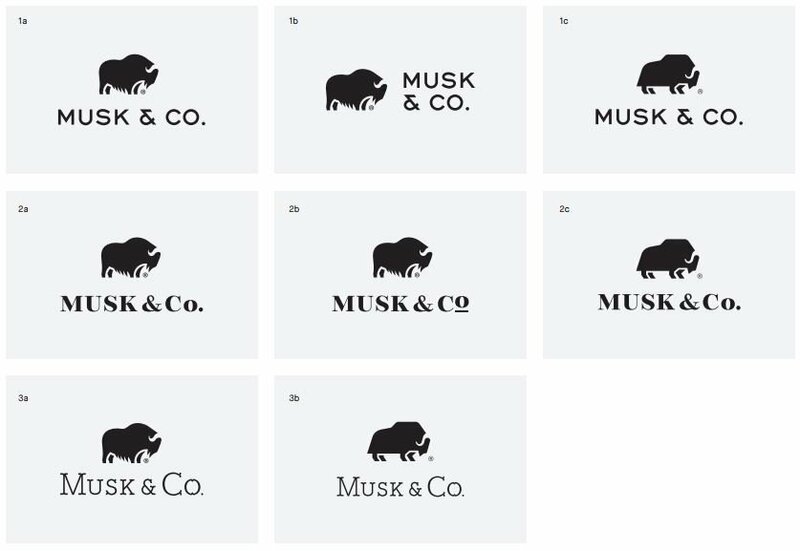 In a similar fashion, our stylised musk ox logo was also a simple decision since the story about qiviut is as much about the animal it comes from as it is about the fibre itself. “It all begins with the musk ox” as we like to say. Prehistoric, survivor of the Ice Age, living in the most inhospitable locales on the planet with exclusivity mandated by their scarcity, these descriptors of musk ox contribute to the aura of the clothing category they define in ways that goats, sheep or even vicuña do not. In addition, a visual representation of the animal both reinforces the elusive brand attributes of uniqueness and exclusivity and promotes name retention since people remember images better than words. Finally and, again, proceeding from the point of view of creating a new clothing category, it was also a pretty simple process to come up with a tag line that we knew had to define and explain what the brand was before people understood anything about qiviut. 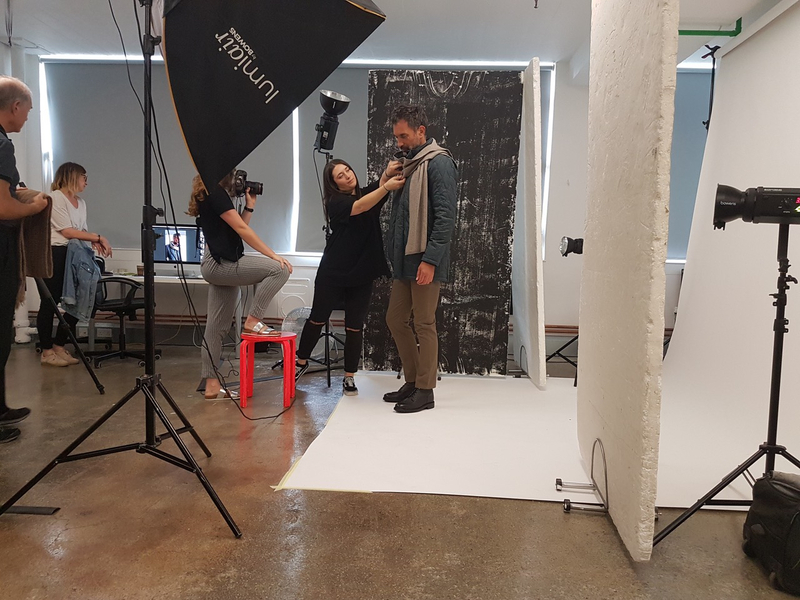 The intent was to create memorable wording that highlighted the key features of the fibre (warmth and feel), identified what we were doing (clothing) and, at least subliminally, suggested the market segment we were targeting (the mention of cashmere). In other words, a key piece of the branding puzzle for an as yet unknown brand. All of this relates to what is on the surface, what the consumer sees and reacts to. Other branding decisions are more subtle. For example, does the logo become a prominent feature of the designs? This would be the Hermés, Michael Kors, Ralph Lauren et al. approach to branding. QIVIUT & CO, on the other hand, prefers to follow the Bottega Veneta path where less is more. And what about product design itself? Does the brand stand for cutting edge, in your face, eye catching items or classic and understated? Does it place function over form or form over function? Are the designs for the ages or just one season at a time? None of these is necessarily right or wrong but they each determine what the brand is all about. So to come full circle with my opening thought, all of the above entered into determining and designing our new items. You, the consumer, will only see the finished products. What you won’t see is the internal process that established what we wanted to make, how to do so to best incorporate warmth and hand feel, what colours and knit patterns to use, how prominent to make our label and other branding, what type of packaging statement we wanted to make, selecting models, photographer, stylist, hair and makeup personnel for our photo shoot, etc., etc. All of these decisions needed to be made while keeping true to the brand, an adherence that is rigorously monitored by a brand guardian (yours truly) and informed by our brand guidelines. In the end, the marketplace determines how well this job has been done or, indeed, if there is acceptance of the brand itself. For every Ford there is a DeLorean (or an Edsel). Of course, there is more that goes into the success or failure of a company than just its branding. Financial resources are the most obvious. But financial resources aside, even the strongest of brands will not long survive a poorly run company (and I define poorly run as the inability or unwillingness to adapt to new technology – Kodak anyone?). It is also true that the best run company will be hard pressed to make much success of a poorly defined brand inconsistently applied. With QIVIUT & CO I think we have a very well defined brand promoting luxury, performance and genuine exclusivity. It is now up to us to make the most of it. 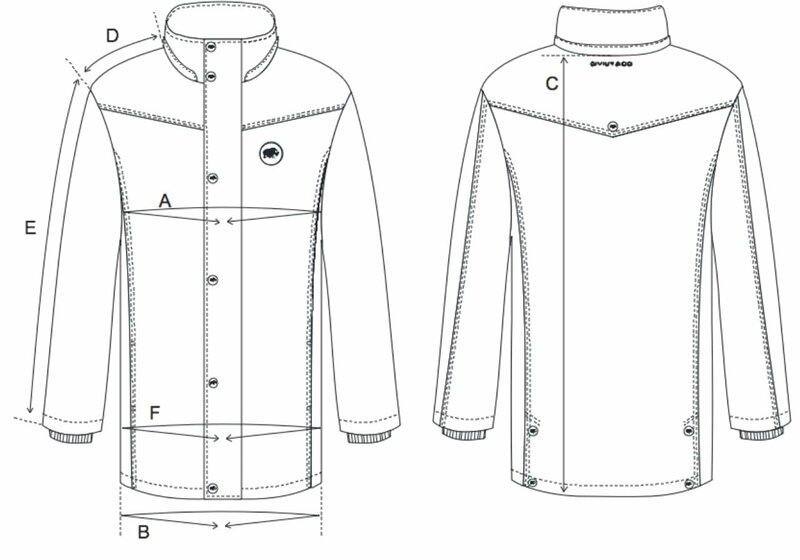 So far, that has seemed to work with The Qiviut Jacket. Our new accessories and how we market them will be the next big test.